We were taking advantage of the Emirates Dubai stopover (a.k.a. layover) for 3 days. I covered the full experience of flying Emirates First Class here. 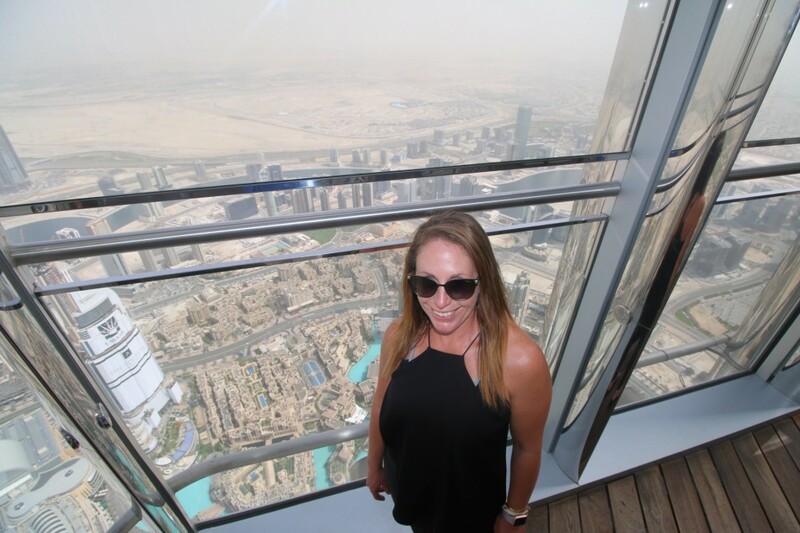 I always try to be helpful to my readers, so I decided to outline how we spent 3 days in Dubai on our stopovers with Emirates. We flew into the Dubai airport at 7pm, and took advantage of the free chauffeur service offered to Emirates First Class passengers. We went straight to our hotel, the One and Only Arabian Court. We were very impressed with the One and Only in Dubai, and enjoyed dinner at Nina, one of the hotels signature restaurants. 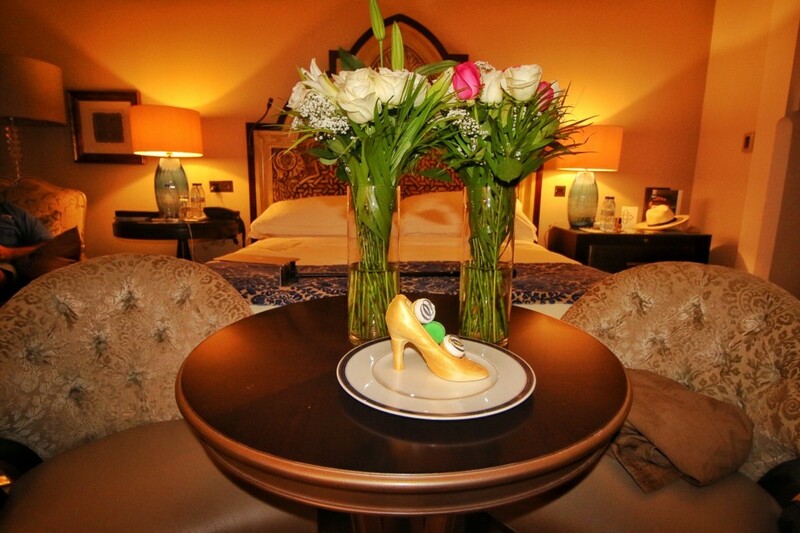 I love any hotel that gives you 2 dozen roses and a chocolate high heel for your birthday! 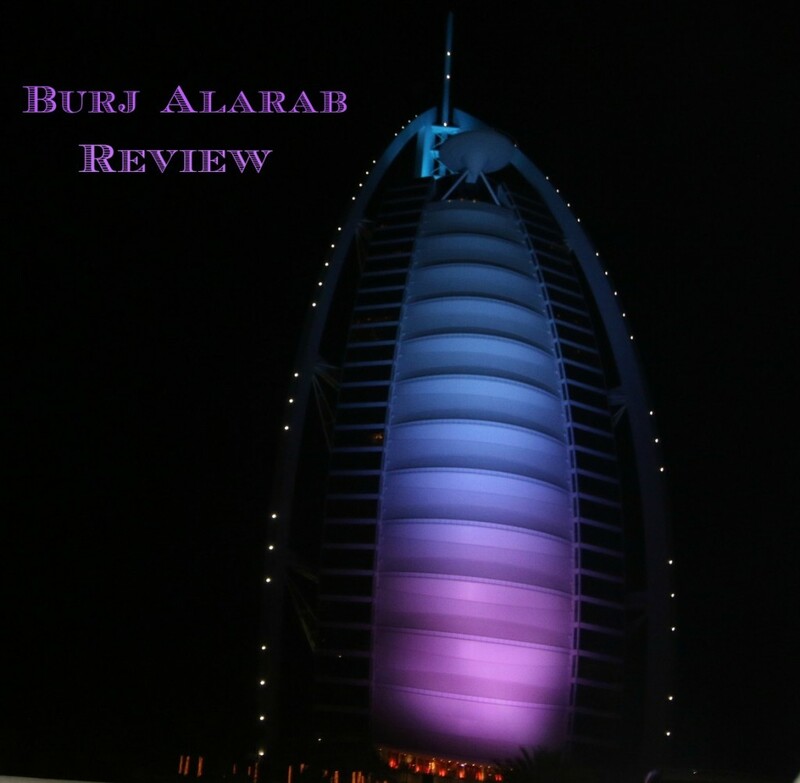 I also wanted to visit the Burj Al Arab, acclaimed as the world’s only 7 star hotel. Since only hotel guests or restaurant patrons are allowed inside the Burj Al Arab, I had a predicament! Most Dubai itineraries suggest making reservations at the Burj Al Arab’s high tea, but 10pm wasn’t exactly high tea time. Luckily, I discovered that the Burj Al Arab recently opened a new bar named Gold on 27. Also, Gold on 27 did not have the minimum spend requirement as the other bars in the hotel. Double score! 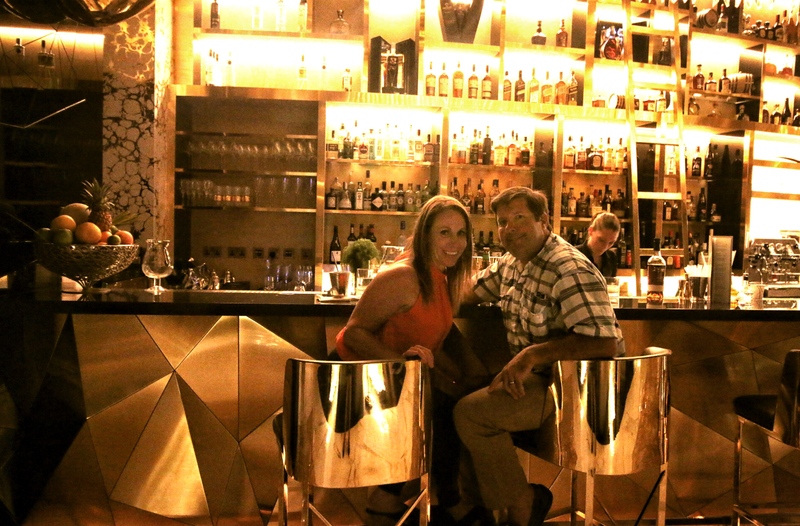 The Burj Al Arab is definitely over the top, and the Gold on 27 bar fit right into that theme. On a side note, I found most of the patrons at the hotel to be far “less sophisticated” than those at the One and Only. So that was our Day 1 in Dubai! There is really not much you can do in Dubai that late at night, but at least I checked off visiting the Burj Al Arab! On Day 2 in Dubai, We hired a private tour guide to take us around. One of the benefits of having a tour guide, was that I really wanted to zip line over the Dubai Fountains. However, XLine Dubai only sells the tickets in person at the Dubai Mall. Since we had a limited time frame, I had our tour guide pre-purchase those tickets for us. Also, we learned lots of tidbits about life in Dubai from our Dubai private tour guide. Otherwise, we would have never known things like you have to get a license from the government to drink alcohol in your home! Even more interesting, the more money you make the more you can drink. Our first stop was at the Dubai Marina. In all honesty, the twisted tower behind the marina was more interesting than the marina itself. I personally did not find the Dubai Marina very impressive. I live in a boating town with lots of big boats, so I guess that I was expecting more. From what I am told, the Abu Dhabi marina has the bigger boats. Also, the Dubai Marina has a lot of indoor/outdoor restaurants and livens up at night time. I might have a different opinion had we visited the Dubai Marina Walk at night. 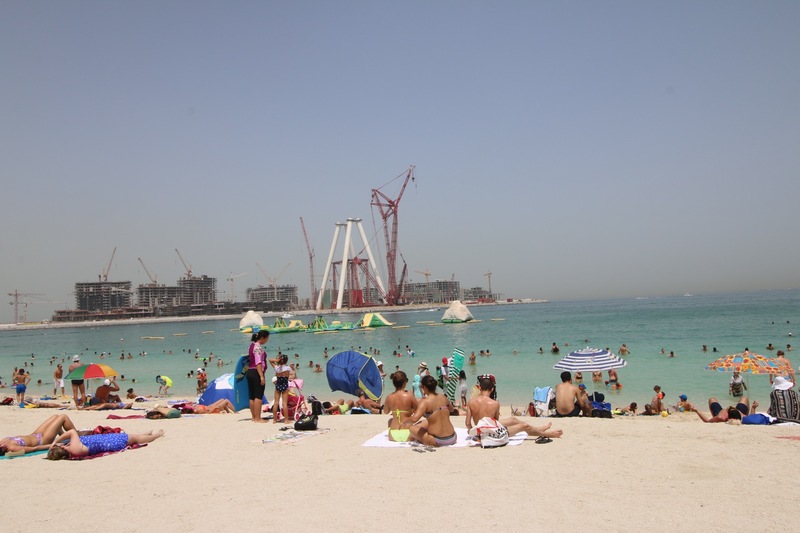 After the Dubai Marina, we took a walk around the Dubai public beaches. 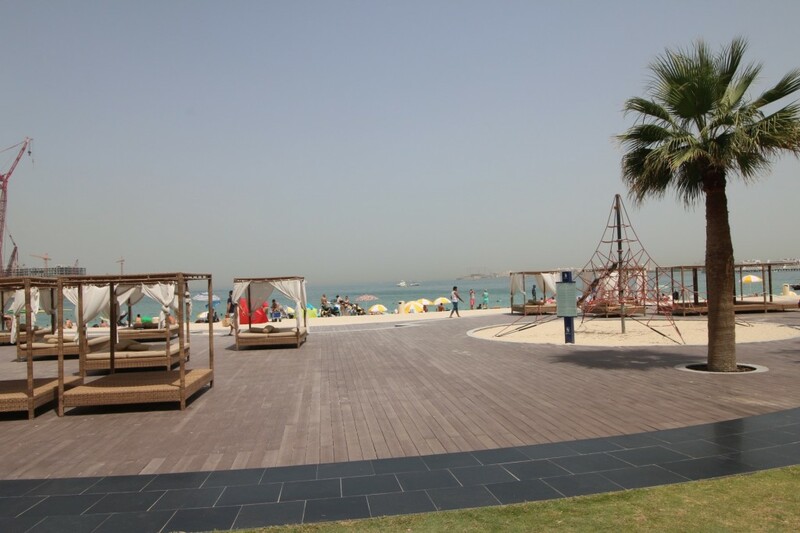 As you will see, the beach area is pristine and there are even cabanas on the public beach! The public beach is outfitted as if you are a private resort instead of the public beach. There are tons of activities for children as well. Take a look at the water slides in the ocean! Also, Im sure you will notice the cranes in the background. It does not appear that construction is slowing down in Dubai. Next, we headed to the enormous Dubai Mall. There are no words to describe how freaking big is this mall. There is plenty to do in the malls if you don’t want to shop. There is a huge aquarium, gold souk, amazing waterfalls, children play areas, and even a ski resort (no joke). 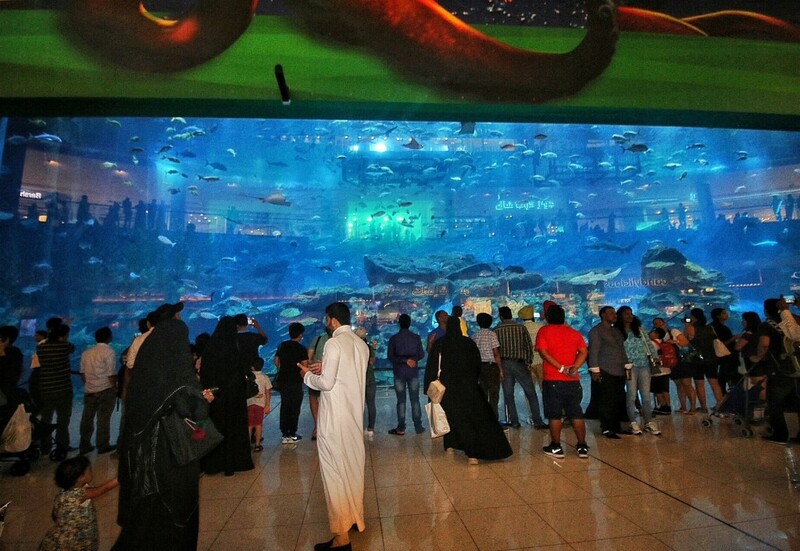 The malls in Dubai are ridiculously over the top, and I am not exaggerating. Then we headed to the top of the Burj Khalifa. We splurged for the at the top sky tickets to the Burj Khalifa. In my opinion, you are simply paying to enjoy the experience and view without the crowds. The appetizers were nice, but the view was really not that much different. Nonetheless, I would definitely recommend the at the top sky tickets to avoid the crowds. Next, we zip lined over the Dubai Fountains with Xline Dubai. I make a short video of our trip to Dubai, where you will see what the zip line experience was like. In short, it was freaking awesome and freaking scary!!! Next, we had dinner at the One and Only Palm signature restaurant Stay. The food was very good, but make sure you don’t go tired! I was exhausted, and they only run the ferry back to the main hotel at certain times. Our 3rd day in Dubai was after our Maldives vacation. We had one more stopover in Dubai with Emirates on our return home. We arrived in the Dubai airport at 2:00 pm. 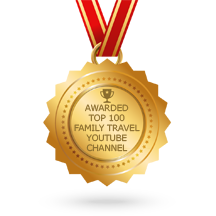 Since our layover in Dubai was less than 24 hours, we qualified for Emirates free hotel and food accommodations. Emirates uses the Le Meridien for their Business and First Class passengers. The Le Meridien was nice enough, and definitely convenient to the airport. After we checked into the hotel, we took a cab straight to the Spice and Gold Souks in Old Town Dubai. My opinion of the Spice and Gold Souks was simply “tourist trap.” I really really wanted to love the Spice and Gold Souks, but I sadly did not. On the other hand, my husband got a kick out of haggling with the merchants in the Gold Souk. This was not my idea of a good time, but whatever. We had promised the kids Dubai gold bars, albeit teeny tiny gold bars. Turns out this wasn’t the easiest thing to find. 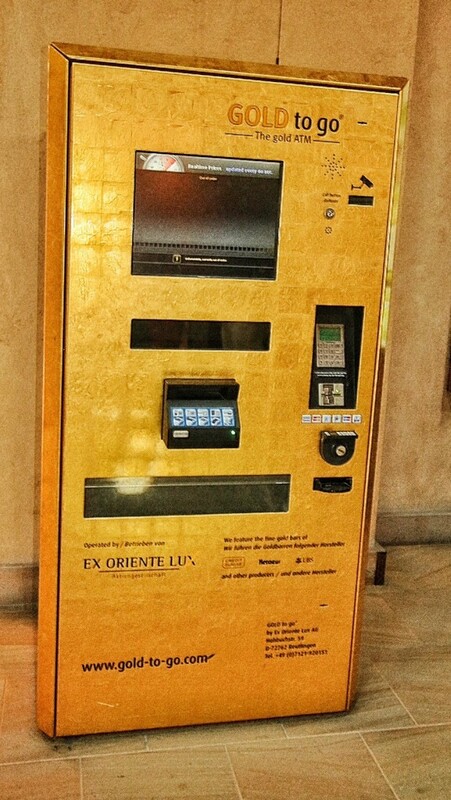 There were Gold ATMS everywhere in Dubai, but none of them were operating when we were there. Anyway, we finally found a merchant who was not slimy and had Dubai gold bars! Score! On a side note, we bought the gold bars for the NASDAQ trading price for that day. Husband’s love of haggling came in handy after all. Next ,we had the pleasure of going on a private tour to the Dubai Desert with Beyond the Dunes. 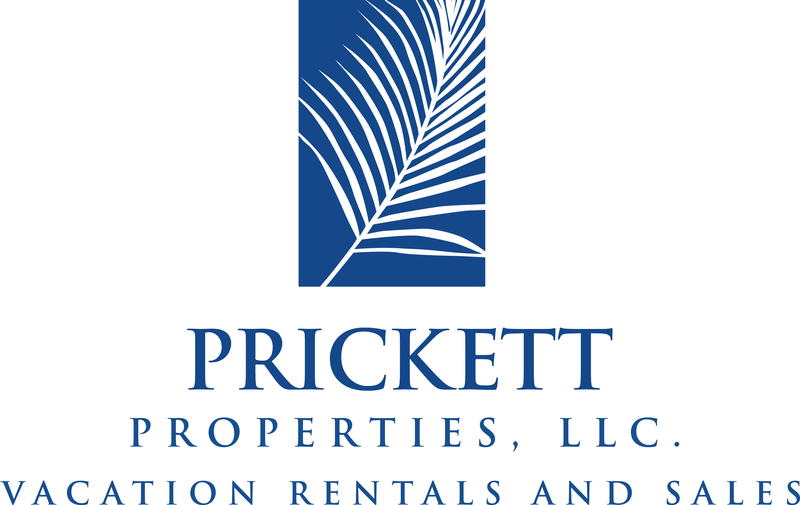 The only other “premium” desert tour operator is Platinum Heritage. Even though the tour is not private with Platinum Heritage, I hear they do a nice job. However, Platinum Heritage does not allow any alcohol in observance of local customs. No alcohol on my last night of vacation in Dubai, no dice! 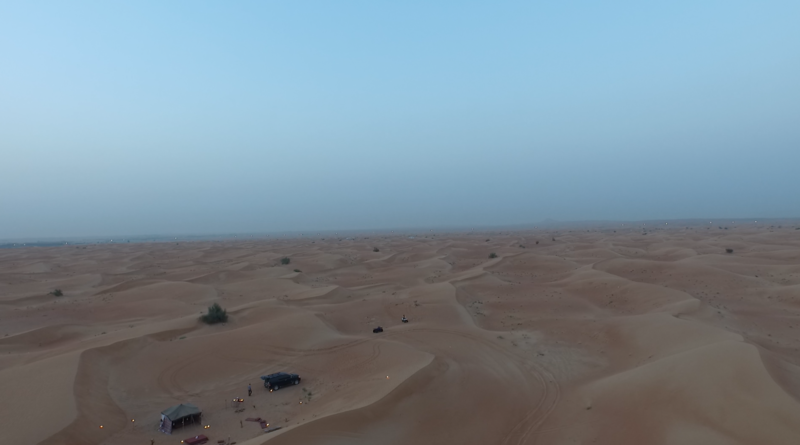 Thus, I booked our Dubai desert tour with Ahid with Beyond the Dunes. You are going to pay a lot more with Beyond the Dunes, but its completely private and well worth the extra money. Ahid as taken several well known celebrities from the U.S. to the Dubai desert. Trust me, you are in good hands. 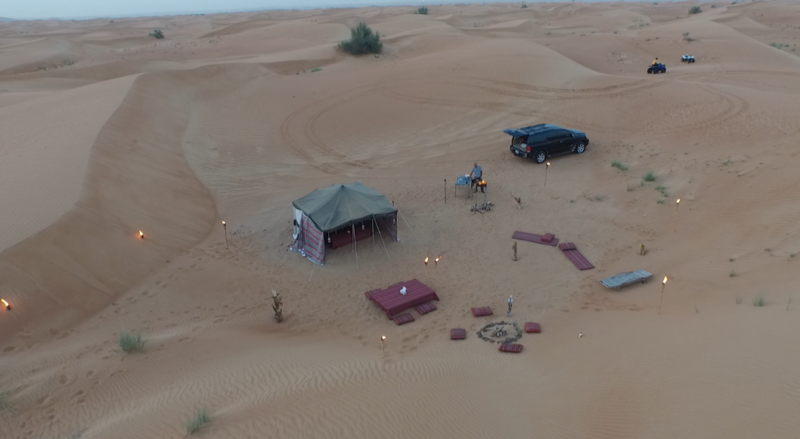 This is what your private desert camp looks like upon arrival. We had a feast prepared for us while we were riding through the desert on a camel. 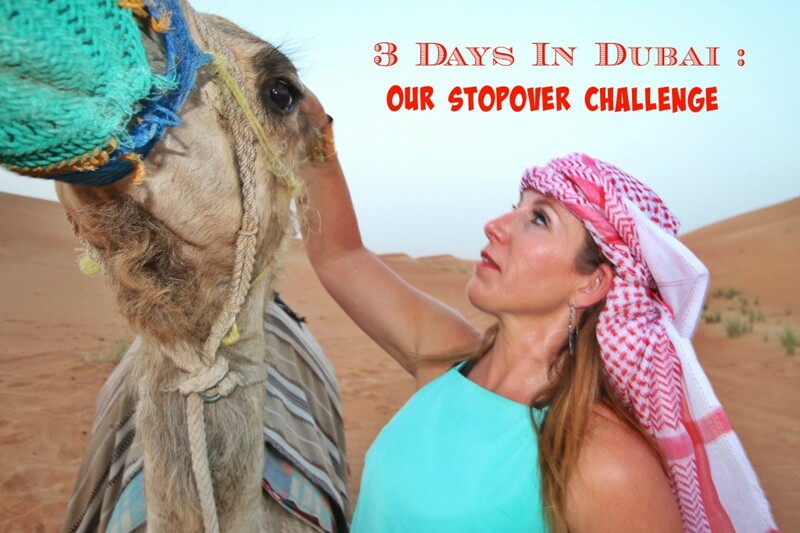 So how did we do on our 3 days in Dubai Stopover Challenge ? I am dying to go back to see the sights in Abu Dhabi, and explore more of Dubai. Please leave a comment below if you have any suggestions for us! Awesome post. Thanks for sharing your wonderful itinerary. The pictures are stunning, especially the top view of the desert safari camp is wonderful.